In October last year, high levels of fluoride were discovered in hay grown on three farms around Alcoa’s Fjarðaál aluminium smelter in East Iceland. In response, the company announced that their much-acclaimed pollution control technology had failed at some point in the summer and claimed that they had “acted immediately” to deal with the situation. In mid January the results of tests on hay which Alcoa itself had submitted to the Food and Veterinarian Authority (MAST) came back, showing that fluoride levels were “below the maximum limit” – 50 mg/kg for cows, goats and sheep, but 30 mg/kg for dairy cattle – and therefore safe for livestock. Two out of seventeen samples were, in fact, above the acceptable fluorine limit for milking cows for human consumption but this was deemed to be fine since that farm only had horses. The truth is that aluminium smelters and serious fluoride poisoning go hand in hand. Aluminium smelting is the largest single producer of fluorides worldwide. These toxic compounds are released from smelters in both gaseous and solid forms. ‘Scrubbers’ are usually used to remove the majority of fluorides from factory smoke today, but when those scrubbers are spent they are also dumped in landfills where the soluble fluorides absorbed into them can leak out into the soil. Fluorides are phytotoxic (toxic to plants) and actually accumulate in vegetation, making long living trees particularly susceptible to fluoride poisoning. When animals or humans eat fluoride polluted plants or meat, or drink fluoride rich water, they can develop ‘fluorosis’ which weakens bones and teeth and can, in extreme cases, lead to bone deformation and birth defects. Fluoride can also build up in soft tissue in the body causing a range of serious health effects1. In West Iceland, a number of farmers living around the Century Aluminum (Norðurál) smelter in Hvalfjörður have been suffering serious fluoride pollution in their sheep and horses – in particular since a major pollution incident at the factory released large amounts of fluorides in August 2006. Sigurbjörn Hjaltason and his wife Bergþóra run a sheep farm at Kiðafell on the South side of the fjord, across the water from the 280 thousand ton aluminium smelter and Elkem’s steel alloy factory. Their sheep have recently developed swollen jaws and weak teeth which break easily and are, in some cases, unable to feed properly and have therefore died. Not satisfied with the industry’s own monitoring, they sent a few of their sheep heads for independent investigation and found fluoride levels of up to 1300-1400ppm, against a baseline (normal level) of 300-400ppm. Sigurbjörn and Bergþóra point out that Umhverfisstofnun (The Environment Agency of Iceland) give no maximum level of fluoride permitted in livestock teeth in Century Aluminum’s license, or elsewhere. Norðurál themselves use a guideline that is based on Norwegian research on young deer and suggests that between 1000 and 2000ppm can cause damage to teeth, and above 2000ppm damage is certain to occur. 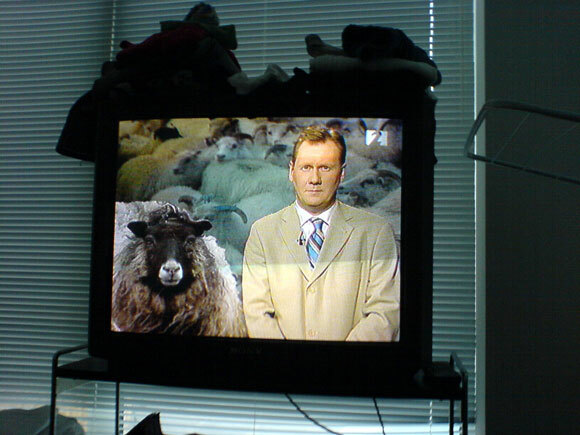 Sigurbjörn and Bergþóra claim that even this guideline is too high to prevent disease and even death of sheep as they have experienced. Despite complaints regarding the unacceptably high levels for permitted fluoride, filed by Sigurbjörn and Bergþóra to Umhverfisstofnun and MAST (Iceland’s Food and Vetinary Authority), the situation has not improved. Across the fjord, about four kilometers West of the smelter, stands a farm called Kúludalsá. 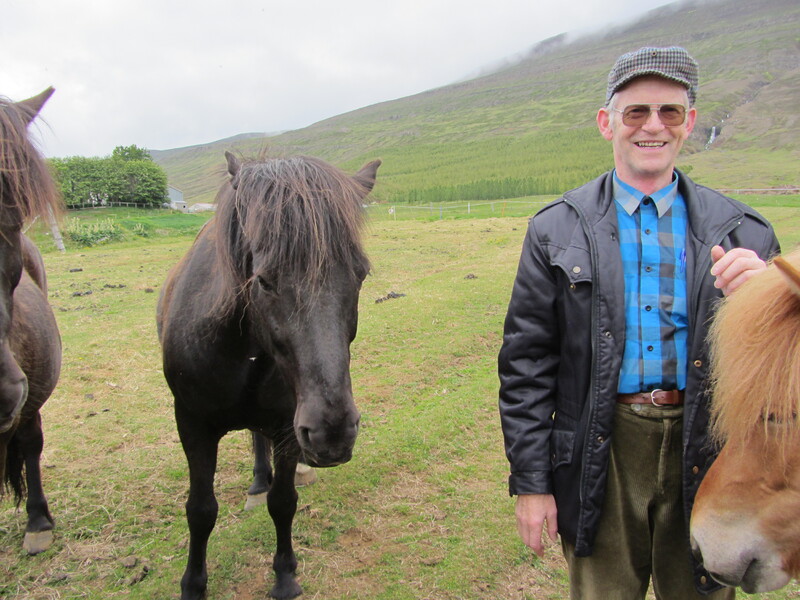 The owner, Ragnheiður Þorgrímsdóttir, runs an outdoor education center and keeps horses for pupils to ride and learn from. She has looked after horses since her childhood without problems, but in 2007 her horses suddenly started to get sick. They developed a build up of material in the neck and became stiff and unwell, in some cases too stiff to be able to walk. In an interview with Saving Iceland, she explained that in August 2006, while Century were expanding their smelter, a failure occurred in the plant’s scrubbing system with the results that raw fluoride was emitted for at least 20 hours. 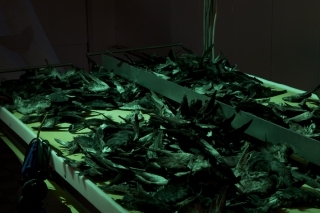 Local farmers were given no warnings or information, “They told no-one about it until many months later when they were forced to do so because the figures showed that something serious had happened” Ragnheiður said. She wrote to MAST and requested a formal investigation in April 2009. The agency passed her request to Umhverfisstofnun who declined to act on it until two years later under public pressure. Ragnheiður had already sent samples of bones to local labs, discovering fluorine levels about four times higher than the estimated baseline, nevertheless still technically below the legal limit. In May 2011, she told her story on RÚV, Iceland’s National Broadcasting Service; only two days later she received a letter from Umhverfisstofnun, announcing their formal refusal to investigate the matter. 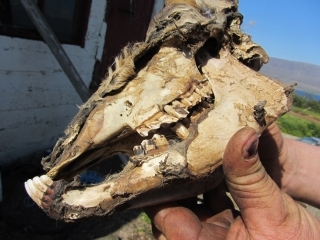 Finally in spring 2011, MAST agreed to investigate samples of horse teeth and bones from Kúludalsá. However, they didn’t examine fluoride in the liver and other organs as they had been requested to do, claiming that fluoride doesn’t build up in the soft tissues. 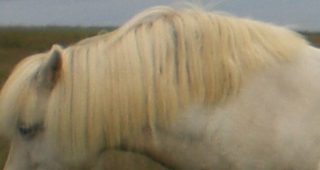 Following their investigation MAST terminated her case, concluding that Ragnheiður could be blamed for the horses’ sickness herself which was due to overfeeding. At this point she decided to take matters into her own hands and sent samples to a foreign laboratory for further analysis. The lab found high fluoride levels in the liver, spleen, kidney and muscles, proving that fluoride had indeed been accumulating in the soft tissue of the animals – and suggesting that this may be an ongoing issue. She wrote to the Minister of Environment in spring 2012, and later also to the Minister of Industry and Innovation. Finally in autumn 2012 she was able to meet with both of them and explain her situation in detail. She told Saving Iceland that the two ministers listened to her and resolved to further investigate the matter. They have now appointed two experts to look into the matter in more depth. I have fought for in-depth research of the horses and their environment for a few years. Eventually, I was forced to do it myself. After the findings of tests on several biological specimens (monitoring that neither Iceland’s Environment Agency nor MAST were willing to conduct) I believe there to be a well-grounded suspicion that the horses are suffering from a metabolic disease (equine metabolic syndrome) as a result of too much fluoride in grass and hay. In addition to causing calcium deficiency in blood and damaging both teeth and bones, fluoride also impacts the activity of the thyroid which operates the body’s metabolism. Fluoride also wears away magnesium and other important substances. Regarding her dealings with the authorities, she concludes by stating that her experience through the last years has taught her “not to expect important affairs to receive speedy and conscionable process within public administration in Iceland.” In particular she points out how the local authorities have actively ignored repeated warnings about pollution from the Grundartangi industrial complex and appear to be working for the interests of the industry rather than the people. This fits in with the Icelandic government’s original invitation to energy intensive heavy industry in 1995, which was entitled ‘Lowest Energy Prices!’ and promised ‘a minimum of red tape’ on environmental clearance for foreign industrial companies setting up in Iceland. Century Aluminum (Norðurál) are supposed to measure fluoride levels around their Grundartangi plant, but according to local nature-protection organization, Umhverfisvaktin við Hvalfjörð (Hvalfjörður Environment Watch), the company stops monitoring the wider local area during the winter months – when pollution hangs in the fjord and is more intense – and, instead, only monitor fluoride levels right at the edge of the smelter, thus distorting the annual figures. 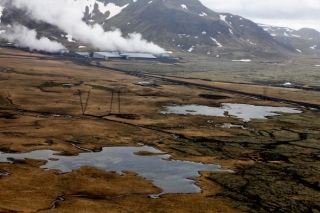 In 2011, Saving Iceland reported on the plans to expand the industrial area at Grundartangi in Hvalfjörður in order to house more polluting industries on top of the already existing ferro-silicon and aluminium plants. Despite more than 70 letters of opposition by local farmers, summer hut owners and others, the local authorities have accepted the planned expansion on behalf of the community. In one of these letters, Umhverfisvaktin pointed out that no proper assessment has yet been made regarding increased industrial pollution in the fjord and its environmental and livestock impacts. In response, the local authorities stated that there was no evidence to suggest that this should be taken into account. The Most Environmentally Sensitive Smelter in the World! 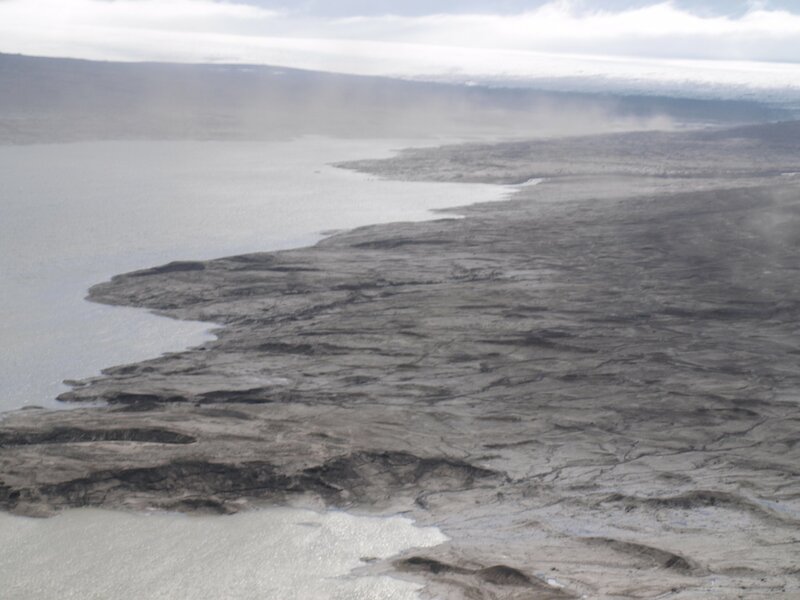 In the beginning of last February, MAST published a report emphasizing the importance of monitoring the impacts of fluoride pollution in Reyðafjörður. The report states that although current fluoride levels are below maximum levels, a blind eye should not be turned to the possibility that too much fluoride will later damage the dental hygiene of young animals currently grazing at the most polluted areas. As their glaze is taking shape during the period from birth until they obtain permanent teeth, fluoride in too high numbers can endanger the quality of the glaze and damage the teeth up to two years post the absorption. 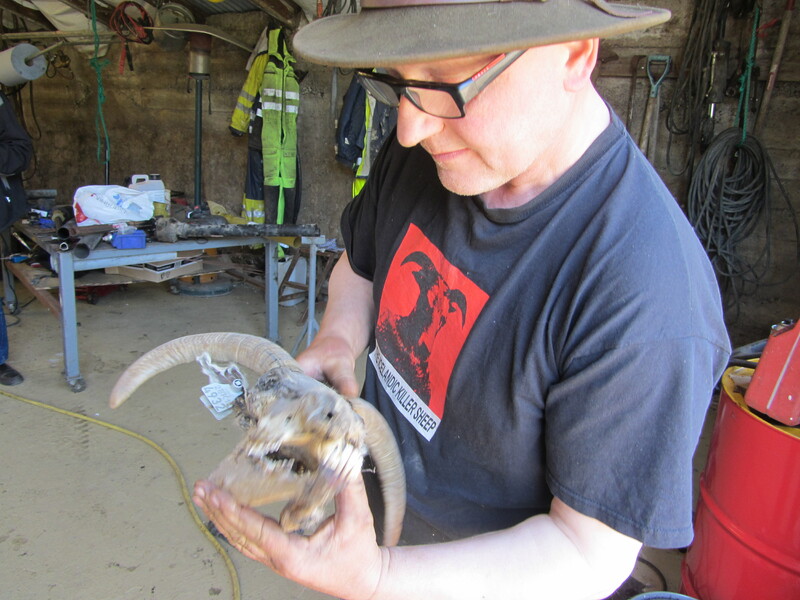 Therefore, MAST states, it’s important to examine the bones of slaughtering animals and monitor the teeth of lambs and young sheep, foals and young horses, calfs kept for breeding, heifers and young dairy cattle – increasing both monitoring as well as the sampling locations. The news about fluoride pollution in Reyðarfjörður last autumn was just what had been warned of all the time, although I admit that it happened a few years earlier than I expected. Alcoa is trying to excuse this event as some kind of accident, when it seems to be a clear case of negligence. It certainly doesn’t fit with the widespread propaganda about “the most environmentally sensitive aluminium smelter in the world” that Alcoa has continuously spread around East-Iceland. This event clearly underlines the profligacy of the aluminium industry and of the Icelandic authorities that allowed their operation. The experience from other smelters here in Iceland shows that it doesn’t matter how much they pollute – the companies are never fined or punished in other ways for breaking their operating license. And their operation is never amended. 1. Christopher Bryson, 2004. The Fluoride Deception. Seven Stories Press. 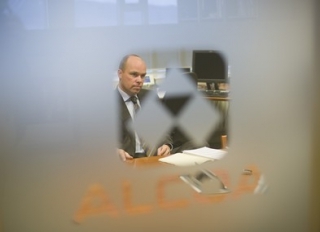 Alcoa’s Power Executive – Who is Influencing Iceland? Aluminium giant Alcoa is one of the most powerful and influential companies in Iceland with it’s poster-child Fjarðaál greenfield1 smelter in Reyðarfjörður, and it’s millions invested in the now failed geothermal smelter project at Bakki, Húsavík. Alcoa’s annual revenue was almost 20 times larger than the Icelandic GDP in 2010 ($21Billion2 versus $1.2 Billion3). 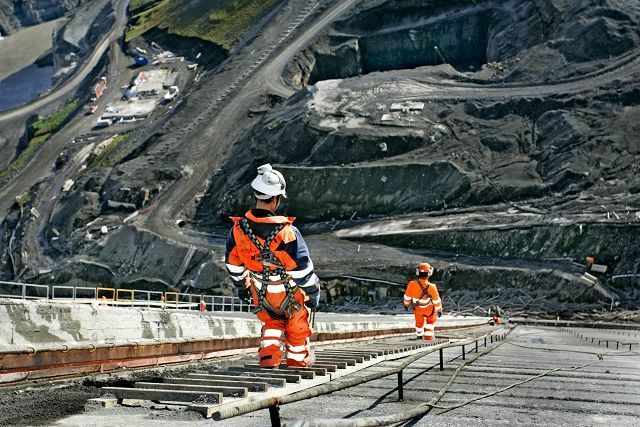 Giving it considerable international influence and the potential for frightening leverage in Iceland.They are also becoming one of the biggest lobbyists in Greenland, with eight employees pushing their mega smelter and dam project on this tiny nation. But who are the faces behind Alcoa? From big pharmaceutical chiefs, to Bilderberg attendees, Iraq profiteers and a Mexican president, Alcoa’s board remains one of the most influential and shadowy of the mining and metals companies. Use the links to Powerbase’s profiles in this article to find out more. 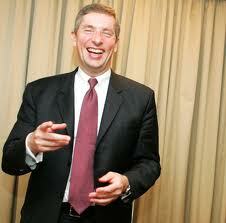 Current Alcoa CEO Klaus Kleinfeld has been an Alcoa board member since 2003. He is also a director of Bayer, the pharmaceuticals and chemical company which grew out of the Nazi company IG Farben, responsible for the medical experiments at Auschwitz. Bayer is now famous for it’s GM and crop science business and was named one of 10 Worst Companies of the Year by Multinational Monitor in 2001. Kleinfeld is associated with all three of the most influential and private ‘global planning groups’. He attended the Bilderberg conference in 2008 and is a member of the Trilateral Commission and Director of the International Business Council of the World Economic Forum. He is also a Director of the Brookings Institution, one of the USA’s biggest think tanks, and the third most cited in Congress. Kleinfeld was CEO of Siemens from 2005 to 2007 after spending 20 years with the company. He resigned amid a corruption scandal which saw the US Department of Justice investigating the company for charges of using slush funds of €426m (£291m) to obtain foreign contracts, and funding a trade union to counter existing Union action against them. Kleinfeld resigned just hours before the news broke to the media. In 2009, after a lengthy investigation, Kleinfeld and four other executives were forced to pay large compensation sums. Kleinfeld allegedly paid $2 million of the $18 million total collected from the five, though he still denied wrongdoing. Kleinfeld is also on the boards of the finance giant Citigroup and the U.S Chamber of Commerce. Former Mexican President Ernesto Zedillo has been on Alcoa’s board since 2002, and chairs the Public Issues Committee. Zedillo is a prominent economist and another member of the big three elite think-tanks sitting on the World Economic Forum and the Trilateral Commission with Kleinfeld, and attending the Bilderberg conference in 1999. Like Kleinfeld he is also a director of Citigroup. Zedillo also sits of the International Advisory Board of the Council on Foreign Relations, an American foreign policy think tank based in New York City who carry out closed debates and discussions and publish the journal Foreign Affairs. CFR played a significant part in encouraging the war on Iraq, and helped plan it’s economic and political aims alongside the US Government, particularly how to gain oil contracts after the war. He directs the Club de Madrid, a right-wing/neoliberal focused group of former government officials, think tankers and journalists involved in pushing reactionary policies to terrorism (referring to the Madrid bombings). 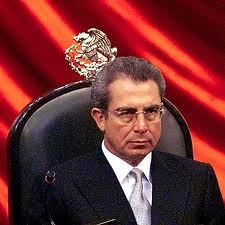 Mr. Zedillo was Mexican president from 1994-2000. He was appointed by Secretary General Kofi Annan to be the United Nations Special Envoy for the 2005 World Summit, and chaired the World Bank’s High Level Commission on Modernization of World Bank Group Governance in 2008. He is a director of JPMorgan-Chase, Proctor and Gamble, BP, Rolls Royce and an advisor to the Bill & Melinda Gates Foundation. He directs the Center for the Study of Globalization at Yale University, which puts out influential reports and papers edited by him. 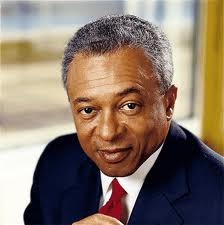 A fellow member of the Council on Foreign Relations is Alcoa board member E.Stanley O’Neal. O’Neal is a Harvard graduate and investment banker who served as CEO of Merrill Lynch from 2002 to 2007 and is a director of the New York Stock Exchange (now NYSE Euronext), the Nasdaq Stock Market and BlackRock – a key investor in the mining and metals industry. According to Forbes he was awarded $22.41 million in 2006. Mr O’Neal is also a trustee of another shady organisation, the Center for Strategic and International Studies, a private group led by John J. Hamre, former deputy secretary of defence which ‘provides world leaders with strategic insights on — and policy solutions to — current and emerging global issues’. CSIS provided propaganda materials used by the CIA to destabilise the Government of Chile in the run up to the 1973 coup. A third Council on Foreign Relations member sits on Alcoa’s board. James W. Owens is Chairman of the Business Council of the CFR, CEO and Executive Chairman of Caterpillar from 2004 to 2010 and Alcoa board member since 2005. Caterpillar are famous for their tendency to profit from war-induced contracts including in Israel and Iraq, just the sort of thing that the Council on Foreign Relations are interested in. Owens is also a director of the International Business Machines Corporation and Morgan Stanley and a senior advisor to Kohlberg Kravis Roberts & Co, a global asset manager working in private equity and fixed income. 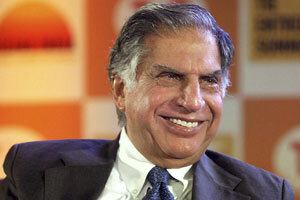 Indian mega magnate Ratan Tata has been a director of Alcoa since 2007 and is currently a member of the International Committee and Public Issues Committee. He chairs Tata Sons, holding company for the Tata Group, the family business which is one of India’s largest business conglomerates including telecoms, transport, tea and now one of the biggest steel companies in the world after they bought Corus outright in 2007. As well as his directorships of most of the Tata companies, he is also a a former director of the Reserve Bank of India, and advisor to NYSE Euronext (the New York Stock Exchange), and JP Morgan – one of the largest shareholders of the London Metal Exchange who set metal prices worldwide and enable banks to stockpile and futures trade aluminium. Mr Tata is also trustee of Cornell, Southern California, Ohio State, and Warwick Universities, a director of the Ford Foundation and a member of the UK Prime Minister’s Business Council for Britain. Compared to these heavyweights Alcoa’s other current board members may look like small fry, but they still command an impressive and worrying influence across a number of boards. 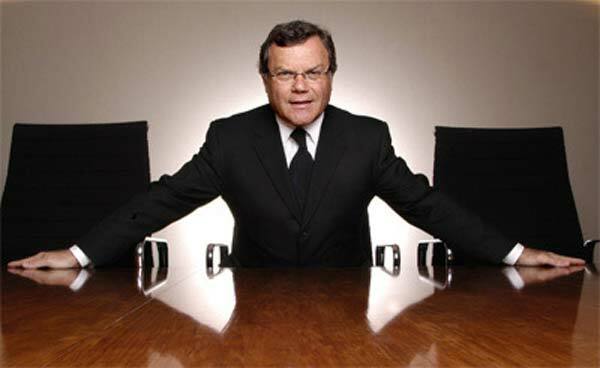 Sir Martin Sorrell is founder and chief executive officer of the £7.5 billion communications and advertising company WPP. He has been a NASDAQ director since 2001 and was appointed an Ambassador for British Business by the Foreign and Commonwealth Office. 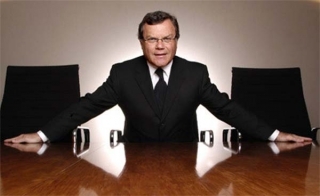 Before founding WPP, Martin Sorrell led the international expansion of famed UK advertising agency Saatchi and Saatchi. He calls himself ‘a money man’ saying: “I like counting beans very much indeed”. Arthur D. Collins, Jr. is a big pharmaceuticals boss. He is retired Chairman and Chief Executive Officer of Medtronic Inc. who he had been with between 1992 and 2008, and previously Corporate Vice President of Abbott Laboratories from 1989 to 1992. He also sits on the boards of arms manufacturers – Boeing, and bio-tech giant Cargill. Michael G. Morris has been Chairman, President and Chief Executive Officer of all major subsidiaries of American Electric Power since January 2004 having been a company executive since 2003. He is also a Director of the USA’s Nuclear Power Operations and the Business Roundtable (chairing the Business Roundtable’s Energy Task Force) as well as the Hartford Financial Services Group. He was listed 158th on the Forbes Executive Pay list in 2011 and received a total $9 million in 2010. Finally, Patricia F. Russo, is a Director of asset management group KKR & Co, General Motors, Hewlett Packard and drug manufacturers Merck & Co, who’s arthritis treatment Vioxx induced heart attacks and sudden cardiac deaths in 27,000 people between 1999 and 2004. Merck were exposed for trying to bury negative evidence and distort drug trials to hide the known cardiovascular effects of Vioxx. Litigation following the scandal is ongoing and will be part of the business of Ms Russo. Coming back to Iceland there is another former director of note. 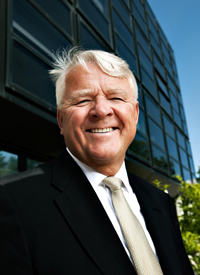 Norwegian national Bernt Reitan was Alcoa Executive Vice President from 2004 to 2010 and a director of iron alloy and silicon company Elkem from 1988 to 2000, putting him in the centre of the development of Iceland’s Hvalfjörður Elkem plant, and the Fjarðaál aluminium smelter. Elkem subsidiary Elkem Aluminium was sold to Alcoa in 2009. 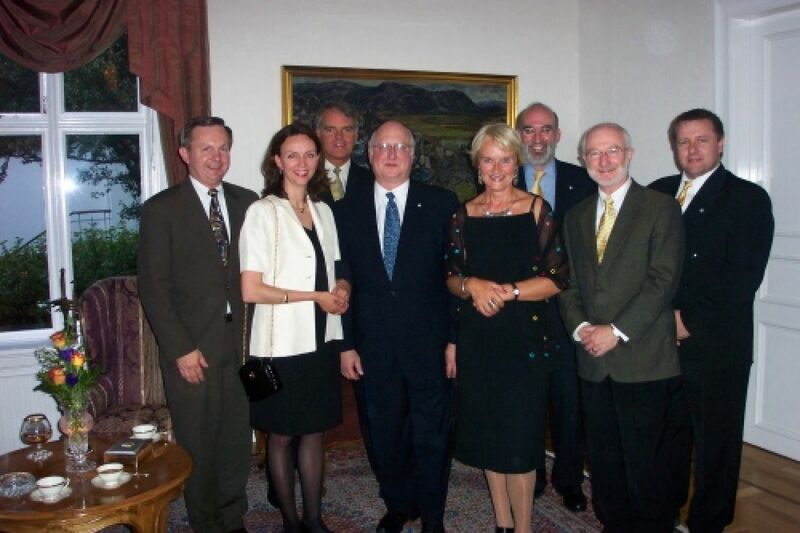 Reitan broke the ground at the massive Fjarðaál smelter in Reyðarfjörður in 2004 alongside Valgerður Sverrisdóttir, then Minister of Industry, and Guðmundur Bjarnason, Mayor of Fjarðabyggð. In view of his influential position in Iceland Reitan sits on the Icelandic-American Chamber of Commerce which was formed by the Iceland Foreign Trade Service in New York and promotes trade between Iceland and the USA. Mr Reitan is also a Director of the International Primary Aluminium Institute and a former board member of the European Aluminium Association as well as Royal Caribbean Cruises Ltd, Yara Internation ASA and Renewable Energy Corporation ASA. On May 18, Icelandic newspaper DV published an interview with Janne Sigurðsson, director of Alcoa Fjarðaál since the beginning of this year. 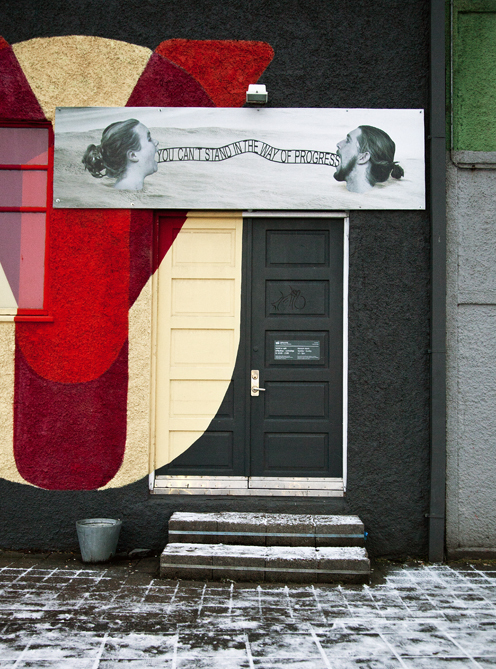 In the interview, Janne describes, amongst other things, crisis meetings that were held within the company due to the protests against the construction of the Kárahnjúkar dams and the aluminium smelter in Reyðarfjörður. With gross and incongruous sentimentality she compares the society in Eastern Iceland, during the time of the construction, with a dying grandmother, whose cure is fought against by the anti-Alcoa protesters. Janne also maintains — and is conveniently not asked to provide the factual backup — that only five people from the East were opposed to these constructions. 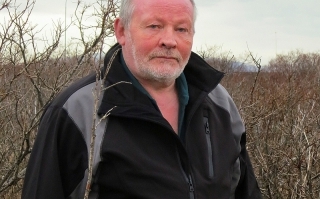 On May 21, however, DV published an interview with Þórhallur Þorsteinsson, one of the people from Eastern Iceland who had the courage to oppose the construction. In the interview, which turns Janne’s claims upside down, it emerges how heavy the oppression was in the East during the preamble and the building of the dams and smelter was — people where “oppressed into obedience” as Þórhallur phrases it. He talks about his experience, loss of friends, murder threats, the attempts of influential people to dispel him from his work, and the way the Icelandic police — and the national church — dealt with the protest camps organized by Saving Iceland, which lead him to wonder if he actually lived in a police state. Þórhallur Þorsteinsson is one of the people from Eastern Iceland who protested against the construction of the Kárahnjúkar dams. For that sake, he was bandied about as an “environmentalist traitor”, accused of standing in the way of the progress of society. Influential people attempted to dispel him from his job, he had to answer for his opinions in front of his employers, and his friends turned against him. 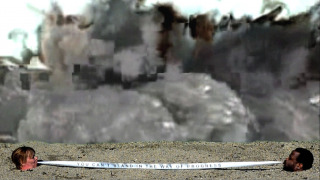 The preparations for the construction started in 1999, but the construction itself started in 2002. The power plant started operating in 2007 but the wounds have not healed though a few years have passed since the conflict reached its climax. “There are certain homes here in Egilsstaðir that I do not enter due to the conflict. Before, I used to visit these homes once or twice a week. I am not sure if I would be welcome there today. Maybe. But in these homes I was, without grounds, hurt so badly that I have no reason to go there again. Now I greet these people but I have no reason to enter their homes. 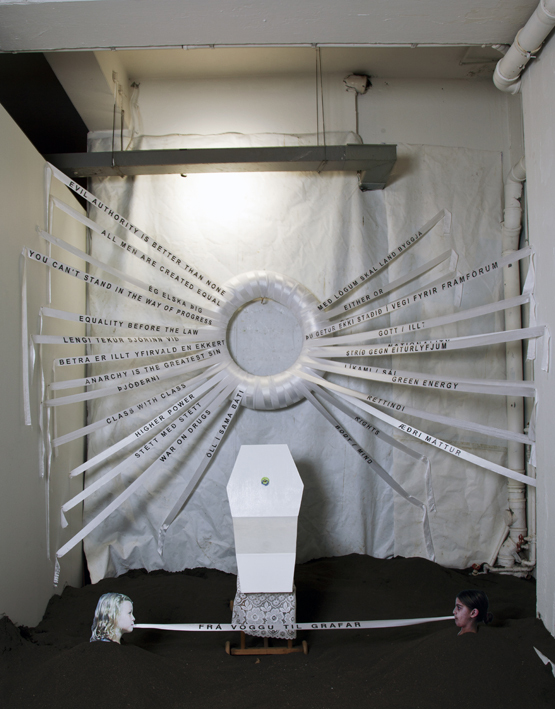 I was virtually persecuted,” Þórhallur says, sitting in an armchair in his home in Egilsstaðir. Not only did he know the land but also cared for it. He was hurt to see it drowned by the reservoir and has never managed to accept its destruction. “I am immensely unhappy with everything regarding this project. The dams, the [Alcoa] aluminium smelter, the environmental impacts, and additionally, it has not brought us what was expected. Thus I find hardly anything positive about this,” Þórhallur says. At a certain point, the verbal abuse was taken further than can be considered normal. “My life was threatened. A man that I used to work with met me in the street and said that I ought to be shot. Of course, it was painful to live through this, it hurt because they were trying to oppress me. They personified the issue so they could portray me as if I was taking something away from people, as if I was preventing the people here from living an ordinary life. This was the attitude. This protest had been organized by Þórhallur as well as Karen Egilsdóttir, who was an elementary school teacher, and Hrafnkell A. Jónsson, who has now passed away. “Parents phoned the school’s headmaster and demanded that their kids would not have to go to her classes. Politicians in the East systematically tried to get me fired from my job. They phoned both the State’s and the Region’s electric utility directors, demanding that I would be fired because of a thing I did in my spare time. These same men constantly interrupted the Chairman of RARIK [Iceland State Electricity] and I had to stand up for my opinions. I had to show up in front of the Region’s electric utility director and proof that I had been at the protest during my spare time. And as my words were not enough, I had to get my supervisor to come and proof it. Everything was tried. It was harsh. And when I was informed that very influential people in the East, respected members of their society, were trying to get back at me and get me dispelled from work because of my opinions, I got a very strange feeling regarding what kind of a society I live in. Not everybody was happy within the Touring Association. “Some of the board members were against it and conflicts took place within the association. I asked them what they intended to do, if the Association would then, in the future, pick out people allowed onto the camping areas. 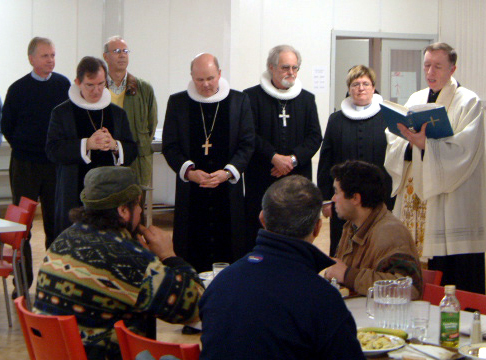 I said to them: These people just enter the camping area, follow the current rules and pay their fee. While so, we can not do anything. Then, some of the people realized how far they had stepped over limits. He also points out how politicians behaved in the Kárahnjúkar issue. “It is interesting to look at the current discussion about the Energy Master Plan. Some people now say that politicians are interfering with specialists’ work. In that case, it is worth remembering the fact that the Kárahnjúkar dams were removed from the Master Plan and were only briefly considered in that context. Those who decided this were politicians. 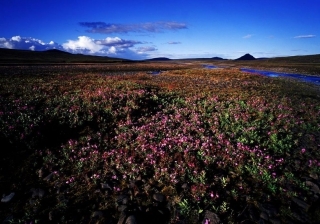 The project underwent an Environmental Impact Assessment and Iceland’s Planning Agency rejected it due to the drastic and irreversible environmental impacts. But then the case was simply taken into a political process and soon it was decided to go ahead and build the dams, despite the Planning Agency’s view that the environmental impacts were unacceptable. The way this case was handled should actually be an ample reason for an investigation. This area’s official protection was cancelled so the land could be drowned. Never before had this happened in Iceland, but it was nevertheless done by Siv Fiðleifsdóttir, then Minister of the Environment. 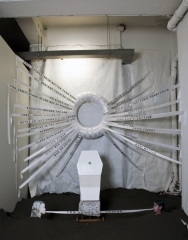 That is her monument: being the one Minister of the Environment, responsible for the most severe environmental destruction,” Þórhallur says plain-spoken. He believes that only the further damming of Þjórsárver wetlands would have been a even bigger environmental sacrifice. “Thereafter came Kárahnjúkar. But this is all about politics, Icelanders have no time for politics. The Danes have done fine without heavy industry. This is always just a question of a political policy, and for decades, the inhabitants of Reyðarfjörður [where the Alcoa smelter is located] have been promised that someone will come and do something for them. In such a position, people tend to forget their survival instinct. He is, nevertheless, able to understand why the region’s people were in favour of the construction and focused on getting a smelter. “I understand them very well, as they got something out of it. But it is clear that we got too little. 200 people from here work in the smelter, I think. 200 jobs — that is not enough for such a sacrifice. 500 jobs would also not have been enough when compared with the land that was destroyed. But people can be bought up if they are handed money. And I understand farmers who had never seen any real money but were all of sudden promised amounts which they would, in any other case, not have been able to even dream of. But is that the way we want it to be? That people can be mislead by money? If they would have stood their ground and rejected all of , if the Fljótsdalshérað region would have rejected this, and the local politicians and the public — then this would never have become true. Now, some people state that we never had anything to say about it, but these are people who have a bad conscience because they did not fight against the construction. Think about the fact that the Gullfoss waterfalls and the hot spring Geysir did not use to be popular tourist places. It was not easy to get to them, say fifty or hundred years ago. We can not sacrifice something just because only a few people know about it. 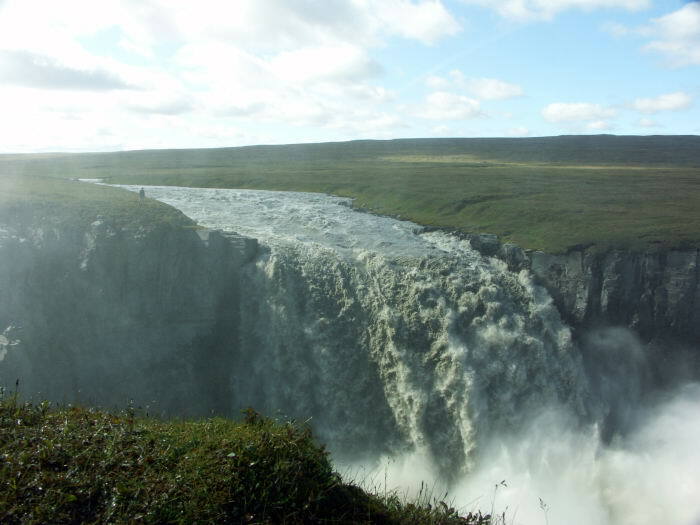 Using that same argument, we could as well dry up Gullfoss, as in a few decades we would forget about it and the next generations would not know what a beautiful waterfall used to flow there. We can not think in that way. One generation can not treat Iceland’s nature, this national treasure, in such a way. In the end he says that the aluminium smelter has not lived up to society’s expectations. “It still has not been possible to staff the smelter with Icelanders. Only Icelandic-speaking people are hired there but despite all the unemployment and all the advertising, sub-contractors partly staff their companies with foreigners, as Icelanders are not willing to take on these jobs. The labour turnover has been about 25 percent. Despite the fiasco the nation has went through [the 2008 economic collapse], this is not considered a decent option for a working place. Was the hole purpose of drowning this land, destroying this nature, drying up these waterfalls, to be able to import migratory workers from abroad? Do some of the unemployed people on Suðurnes not want to come to the East, move into all the empty apartments and work in the smelter in Reyðarfjörður? Isn’t there something wrong? Why do people not apply for jobs here?” Þórhallur asks and adds that the pot-rooms and the cast-house are not really desirable workplaces, though some other jobs in the smelter might lure some. 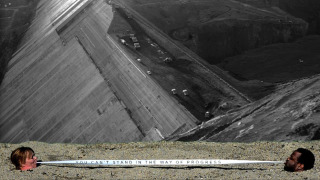 “One has to work 12 hours shifts and I know no-one who works in the smelter and looks at it as their future job. I also know people who used to work there but quit because of the long shifts. They did not want to sacrifice their family life for the job. People will work there until they find a better job. If the economy recovers in a few years time, how will this end? Will we end up having to staff the smelter solely with foreign labour on season? This was supposed to save everything but the same horrific situation is evident far and wide. The smelter had, for instance, no positive impacts in nearby places like Stöðvarfjörður and Breiðdalsvík. 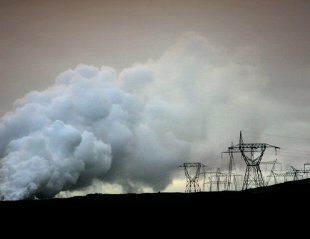 Recent studies show links between asthma and sulphur pollution from geothermal power plants. Reykjavík Energy denies their connection with newly discovered effluent water lagoons in Hellsheiði. The Parliament’s Industries Committee orders a report that condemns preservation of nature, presented in a parliamentary resolution for Iceland’s Energy Master Plans. Alterra Power announces lower revenues in Iceland and their plans to enlarge the Reykjanesvirkjun geothermal power plant despite fears of over-exploitation. Greenland faces Alcoa’s plans of an import of cheap Chinese labour en masse, while Cairn Energy dumps toxic materials into the ocean off the country’s shores. This is the content of Saving Iceland’s first round of brief monthly news from the struggle over Iceland’s wilderness and connected struggles around the world. Those who promote large-scale geothermal energy production as green and environmentally friendly, are once again forced to face another backlash as a recent research suggests a direct link between sulphur pollution from the Hellisheiði geothermal plant and asthma among the inhabitants of Reykjavík. The results of this particular research, which was done by Hanne Krage Carlsen, doctorate student of Public Health at the University of Iceland, were published in the Environmental Research journal earlier this year, showing that the purchasing of asthma medicine increases between 5 and 10 percent in accordance with higher sulphur pollution numbers in the capital area of Reykjavík. Adding to the continuous unmasking of the geothermal green myth, environmentalist Ómar Ragnarsson recently discovered and documented new lagoons, created by run-off water from Reykjavík Energy’s geothermal power plant in Hellisheiði. 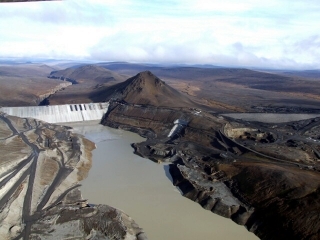 At first Reykjavík Energy denied that the lagoons’ water comes from the company’s power plant, but were forced to withdraw those words only a few days later. 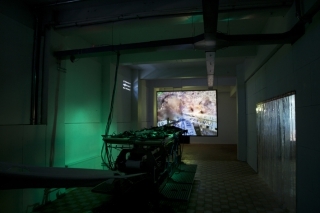 Ómar had then brought a journalist from RÚV, the National Broadcasting Service, to the lagoons and traced the water to the plant. Despite the company’s withdrawal, they nevertheless rejected worries voiced by environmentalists, regarding the very possible pollution of ground water in the area, and insisted that this is allowed for in the plant’s license. According to the plant’s license the run-off water should actually be pumped back, down into earth, in order to prevent polluting impacts and the creation of lagoons containing a huge amount of polluting materials. Ómar’s discovery shows that this is certainly not the case all the time, and additionally, the pumping that has taken place so far has proved to be problematic, creating a series of man-made earthquakes in the area, causing serious disturbances in the neighbouring town of Hveragerði. 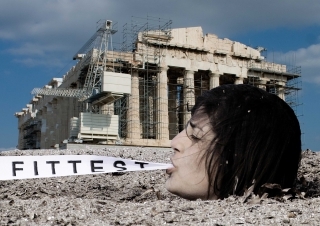 In an article following his discovery Ómar points out that for the last years, the general public has not had much knowledge about geothermal power plants’ run-off water, and much less considered it as a potential problem. Ómar blames this partly on the Icelandic media, which have been far from enthusiastic about reporting the inconvenient truth regarding geothermal power production. One of these facts is that the effluent water, which people tend to view positively due to the tourist attraction that has been made of it at the Blue Lagoon, is a token of a serious energy waste, as the current plants use only 13% of the energy while 87% goes into the air or into underutilized run off-water. These enlarging lagoons — not only evident in Hellisheiði but also by the geothermal power plants in Reykjanes, Svartsengi, Nesjavellir and Bjarnarflag — suggest that the energy companies’ promises regarding the pumping of run-off water, are far from easily kept. During the last few weeks, the Icelandic Parliament’s Industries Committee received 333 remarks in connection with the committee’s work on a parliamentary resolution for Iceland’s Energy Master Plan. 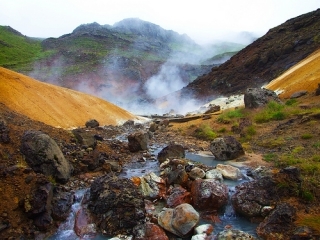 The resolution, which was presented by the Ministers of Industry and of Environment in April this year, gives a green light for a monstrous plan to turn the Reykjanes peninsula’s geothermal areas into a continuous industrial zone. 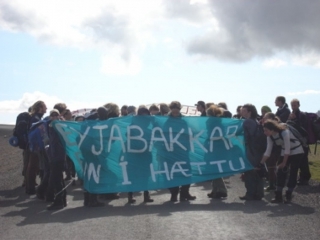 The remarks can generally be split into two groups based on senders and views: Firstly, individuals and environmentalist associations who, above all, protest the afore-mentioned Reykjanes plans. Secondly, companies and institutions with vested interests in the further heavy industrialization of Iceland who demand that the Master Plan’s second phase goes unaltered through parliament — that is, as it was before the parliamentary resolution was presented, in which the much-debated Þjórsá dams and other hydro power plants were still included in the exploitation category. Saving Iceland has published one of the remarks, written by Helga Katrín Tryggvadóttir, which differs from these two groups as it evaluates energy production and nature conservation in a larger, long-term context. During the process, the head of the Industries Committee, Kristján Möller — MP for the social-democratic People’s Alliance, known for his stand in favour of heavy industry — ordered and paid for a remark sent by management company GAMMA. The company first entered discussion about one year ago after publishing a report, which promised that the national energy company Landsvirkjun could become the equivalent of the Norwegian Oil Fund, if the company would only be permitted to build dams like there is no tomorrow. In a similarly gold-filled rhetoric, GAMMA’s remark regarding the Energy Master Plan states that the changes made by the two ministers — which in fact are the results of another public reviewing process last year — will cost Iceland’s society about 270 billion ISK and 5 thousand jobs. According to the company’s report, these amount are the would-be benefits of forcefully continuing the heavy industrialization of Iceland, a plan that has proved to be not only ecologically but also economically disastrous. Seen from that perspective, it does not come as a surprise realizing that the management company is largely staffed with economists who before the economic collapse of 2008 lead the disastrous adventures of Kaupþing, one of the three biggest Icelandic bubble banks. 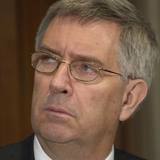 At the same time, the company’s Executive Chairman Ross Beaty stated that Alterra is preparing for an enlargement of the Reykjanesvirkjun geothermal power plant, located at the south-west tip of the Reykjanes peninsula, which should increase the plant’s production capacity from the current 100 MW to 180 MW. 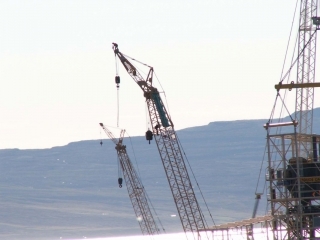 The construction is supposed to start at the end of this year and to be financed with the 38 million USD purchase of new shares in HS Orka by Jarðvarmi, a company owned by fourteen Icelandic pension funds. According to Alterra, permission for all construction-related activities is in place. However, as Saving Iceland has reported, Iceland’s National Energy Authority has officially stated their fears that increased energy production will lead to an over-exploitation of the plant’s geothermal reservoir. Furthermore, Ásgeir Margeirsson, Chairman of HS Orka, responded to Alterra’s claims stating that due to a conflict between the energy company and aluminium producer Norðurál, the construction might not start this year. According to existing contracts, the energy from the enlargement is supposed to power Norðurál’s planned aluminium smelter in Helguvík. That project, however, has been on hold for years due to financial and energy crisis, and seems to be nothing but a fantasy never to be realised. The home rule government of Greenland is split in their stand on Alcoa’s plans to import 2 thousand Chinese workers for the construction of the company’s planned smelter in Maniitsoq. The biggest governing party, Inuit Ataqatigiit, is against the plan as the workers will not be paid the same amount as Greenlandic labour. On the other hand, the Democratic Party, which has two of the government’s nine ministerial seats, is in favour of the plans on the grounds that the workers’ working condition and payments will be better than in China. In Iceland, during the construction of the Kárahnjúkar dams and Alcoa’s aluminium smelter in Reyðarfjörður, Chinese and Portuguese migrant workers were imported on a mass scale. 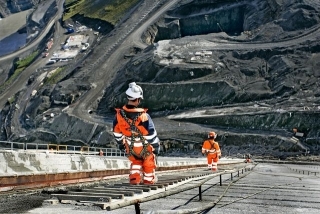 More than 1700 work-related injuries were reported during the building of the dams, ten workers ended up with irrecoverable injuries and five workers died. 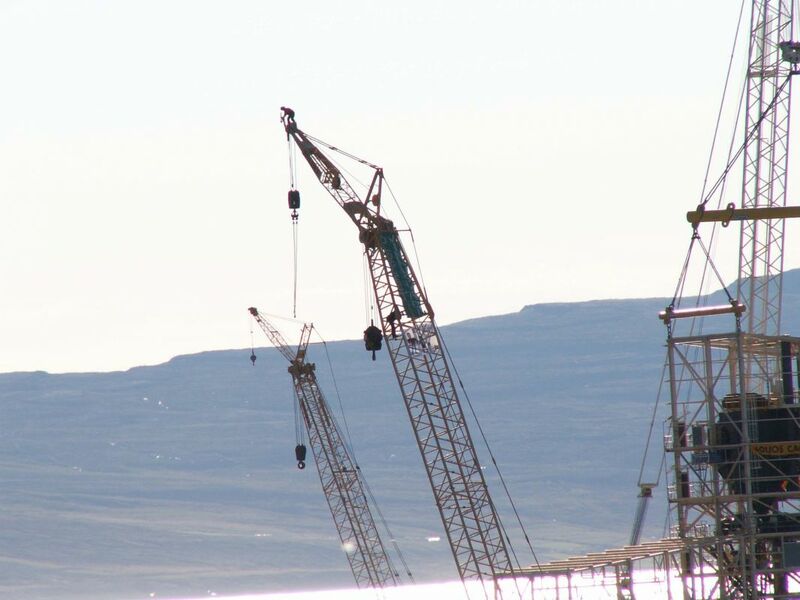 In 2010, the Occupational Safety and Health Authority stated that the Kárahnjúkar project was in a different league to any other project in Iceland, with regard to work-related accidents. 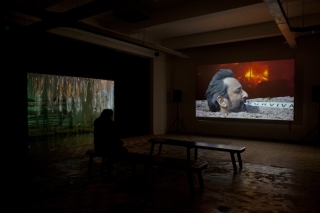 At the same time as Greenland’s government argued over Alcoa, Danish newspaper Politiken reported that the Scottish oil company Cairn Energy — a company that, along with Indian mining giant Vedanta, shares the ownership of oil and gas company Cairn India — is responsible for dumping 160 tons of toxic materials into the ocean in the years of 2010 and 2011. The dumping is linked to the company’s search for oil off Greenland’s shore and is five times higher than the amount of comparable materials dumped in 2009 by every single oil platform of Denmark and Norway combined. The profitability of Landsvirkjun, Iceland’s national energy company, is way too low. And worst off is the Kárahnjúkar hydro power plant, Europe’s largest dam, the company’s biggest and most expensive construction. Landsvirkjun’s director Hörður Arnarson revealed this during the company’s recent autumn meeting, and blamed the low price of energy sold to large-scale energy consumers, such as Alcoa’s aluminium smelter in Reyðarfjörður, as one of the biggest factors reducing profit. 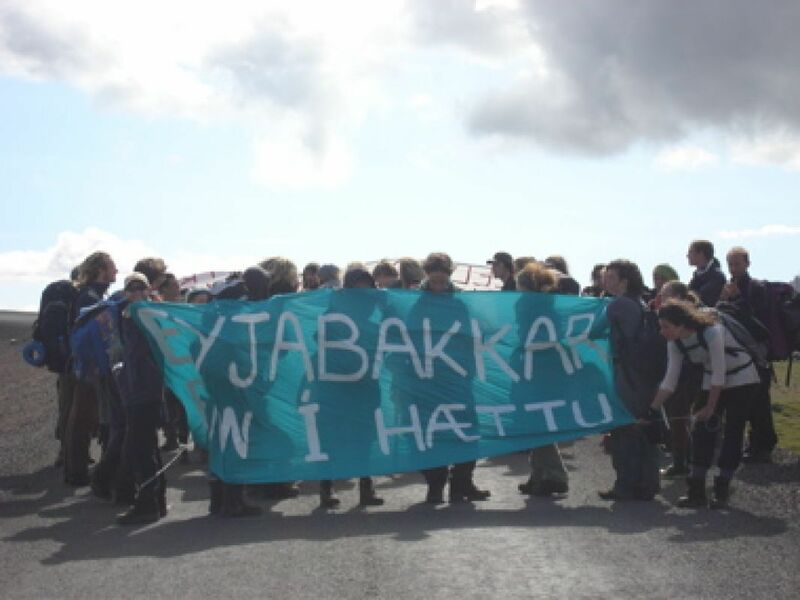 These news echo the many warnings made by the opponents of the cluster of five dams at Kárahnjúkar and nearby Eyjabakkar, who repeatedly stated that the project’s alleged profitability was nothing but an illusion, but were systematically silenced by Iceland’s authorities. Now, as these facts finally become established in the media—this time straight from the horse’s mouth—similarly bad news has arrived regarding another big Icelandic energy company. 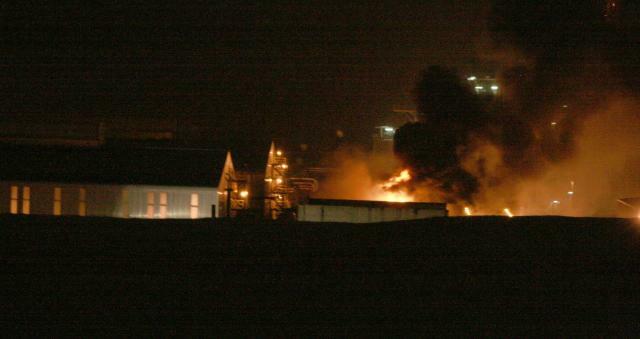 Reykjavík Energy has failed to make a profit from their 2007 and 2008 investments, effectively making them lose money. At the same time, new research shows that the environmental impacts of the Kárahnjúkar dams are exactly as vast and serious as environmentalists and scientists feared. The smallest aluminium smelter in Iceland uses 50% more electricity than all of Iceland’s households and businesses combined, while contributing very little to the country’s GDP. Heavy industry has often been touted by Icelandic conservatives as a cash cow: foreign companies can provide the country with jobs, while utilising Iceland’s green energy to produce aluminium in a cleaner fashion. While the myth of the “green smelter” has been definitively put to rest, aluminium is still billed by some as being good for the economy. However, Vilhjálmur Þorsteinsson – the chair of a study group assembled by the Ministry of Industry that studies Iceland’s energy use – has come to some damning conclusions about smelters in Iceland. Iceland’s three aluminium smelters – Alcoa in Reyðarfjörður, Norðurál in Grundartangi, and Rio Tinto Alcan in Straumsvík – consume approximately 13 terawatt hours of electricity. 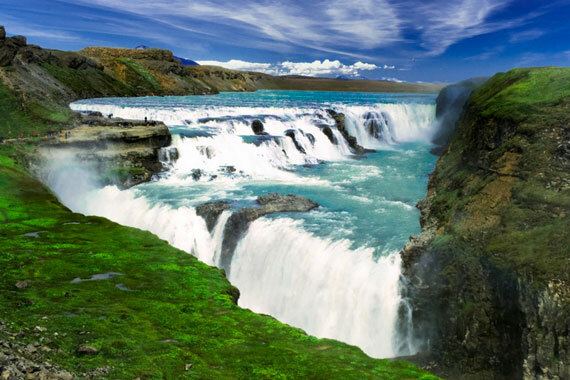 The entire capacity of Iceland’s electrical output is 17 terawatt hours. 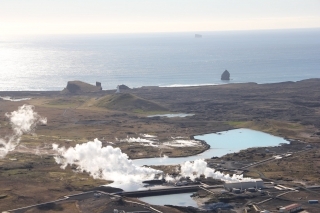 Furthermore, Straumsvík – the smallest smelter in the country – uses 3.6 terawatt hours. The combined total energy consumption of every home and business in Iceland (apart from the smelters) equals only 2.3 terawatt hours. At the same time, even the best estimates of what smelters contribute to the economy only put them in the neighbourhood of contributing to 5% of the GDP. Tourism accounts for about the same percentage of the GDP while using far less of the power grid. Meanwhile, Iceland’s service sector accounts for 69.9% of its GDP, and fishing accounts for 12%. Those who are yet to give up on Icelandic media cannot have avoided noticing one Kristján Már Unnarsson, a news director and journalist at TV station Stöð 2. Kristján, who in 2007 received the Icelandic Press Awards for his coverage of “everyday countryside life”, is a peculiar fan of manful and mighty constructions and loves to tell good news to and about all the “good heavy industry guys” that Iceland has to offer. To be more precise, Kristján has, for at least a decade (and I say “at least” just because my memory and research doesn’t take me further back), gone on a rampage each and every time he gets the chance to tell his audience about the newest of news in Iceland’s heavy industry and energy affairs. He talks about gold-mills when referring to dams built to power aluminium production; and when preparing an evening news item on, say, plans regarding energy and aluminium production, he usually doesn’t see a reason for talking to more than one person – a person who, almost without exception, is in favour of whatever project is being discussed. After a six years process Alcoa in Iceland has withdrawn its plans to build a 250 thousand ton aluminium smelter in Bakki, near Húsavík in the North of Iceland. It is now clear, according to the company, that the energy needed to run the proposed smelter will not be provided and, even if it could be provided, the company finds the price too high. 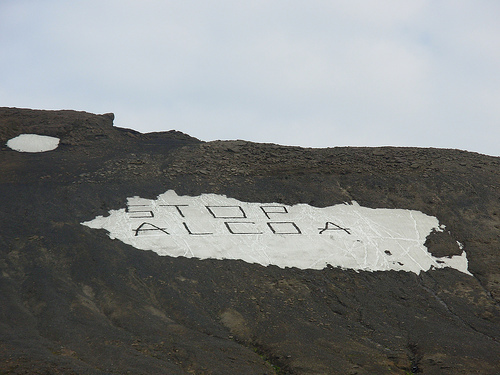 Tómas Már Sigurðsson, the director of Alcoa in Iceland, announced this yesterday on a meeting in Húsavík, marking a milestone in the struggle against the aluminium industry’s further development in Iceland. 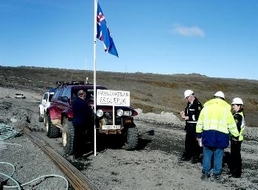 As from 2005 Alcoa, along with national energy company Landsvirkjun, Húsavík’s authorities and – to begin with – the Icelandic authorities, has been working on the project, which would have required at least 400 MW of energy, produced by harnessing geothermal areas and glacial rivers in the North. In 2008 a Memorandum of Understanding (MOU) between Landsvirkjun and Alcoa expired, and a year later the same happened concerning a MOU between the aluminium producer and the Icelandic government, the latter not willing to renew it.